Planning for a vacation? Looking out for a way to escape the demands of a routine life? Planning to take your family/friends away from day to day chores and to get relaxed? Ranikhet would be one of the best options for you. Shimla, a hill station located in the Almora district in Uttarakhand is a must visit tourist location in India. Ranikhet literally means “Queen’s Meadow” in Hindi. It is said that Raja Sudhardev vowed Rani Padmini here. The Rani who was enchanted by the beauty of the location set up her home here giving the name to the place. Ranikhet is a category II cantonment established by the British in 1869. The British used this station as a getaway from the Indian hot summer. Ranikhet was also proposed for the summer headquarters of India instead of Shimla. The headquarters of the Kumaon Regiment is situated here. 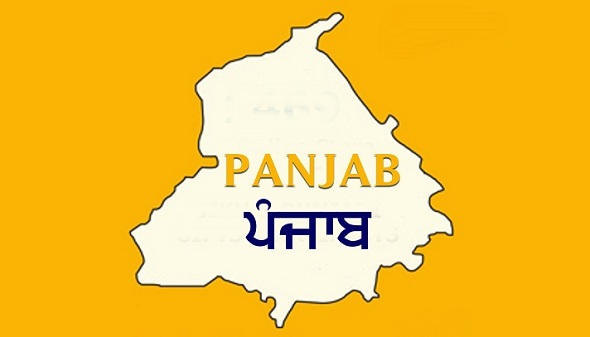 The cantonment board consists of 14 members. 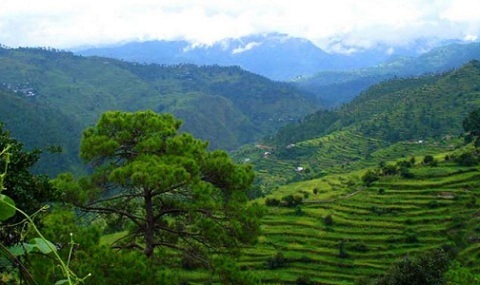 Ranikhet has cold winters and moderate summers. Winter lasts from October to February and is very cold. Snowfall can be enjoyed from December till February. Summer is the perfect time to visit this place which lasts from March to May. Monsoon lasts from June to August and has an average rainfall. Golf courses are one of the most favorite attractions of Ranikhet. The snow clad mountains and fruit orchards provide a pleasant atmosphere to the professional players and also to the tourists. The 9 hole golf course is one of the finest golf course in the country. The golf club offers memberships to outsiders also. Cantonment Ashiyana Park is one the attractions for kids and parents. It consists of a children park on the jungle theme, a fountain and an herbal garden. The view of Himalayan Mountains from here makes this place best for relaxation. Ranikhet is known for a number of temples in its vicinity. This temple built by Kumaon Regiment in 1978 is located near the Rani Jheel cantonment area. The temple is dedicated to Lord Shiva and Radha – Krishna. Binsar Mahadev temple is believed to be built in a single day in the 10th century AD. The temple is flooded on Vaikunth chaturdashi days by women wishing for a child who light a lamp in their palm and seek the blessings of the Lord. This temple is dedicated to Lord Shiva. The place offers a scenic view of the Himalayan ranges making it an attraction among the visitors. Haida khan Baba ji is said to appear here who had a lot of followers and devotees. Katarmal, 800 years old has the Sun temple or the Surya temple as it is commonly known as. It is said to be built by the Katyuri Kings in the 9th century. The place is declared as a master piece of Ancient monuments in the country. Syahi Devi temple is located at Syalikhet amidst lush forests and apple orchards. The temple along with its scenic beauty is a must visit place. Jhula Devi temple, a 700 year old one is dedicated to the goddess “Maa Durga”. Devotees worship the goddess and tie thousands of bells around the temple. The temple is known for these bells. Rama Mandir is located near to the Jhula Devi temple. The place hosts a monastery where ancient Vedas are taught. Rani Jheel is a huge man-made lake built by Cantonment board to harvest rain water. This place is open to boating and attracts a lot of visitors. Best period to visit this place is from March to June. Chaubatia the name stands for “Meeting point of four routes”. This place is famous for its plantations namely apricots, peaches, almonds and apples. There is a fruit and vegetable research center run by the government which attracts tourists. Bhalu dam is another man-made lake in Ranikhet with natural boundaries formed by the Himalayan Mountains. The dam is known for its scenic view of the snow clad mountains. It is the most sought after picnic spot and a camping ground in this area. The Kuman Regimental Centre Museum is taken care by the Naga and Kumaon Regiment. The museum homes a lot of collections on the wars, Army Generals, their heroic acts, medals, uniforms of the brave soldiers and the weapons. Photography is not allowed inside the place. It is a must visit place if you visit Ranikhet as it provides a feel of patriotism to the visitors. Thus we have learnt a lot of interesting details about Ranikhet.